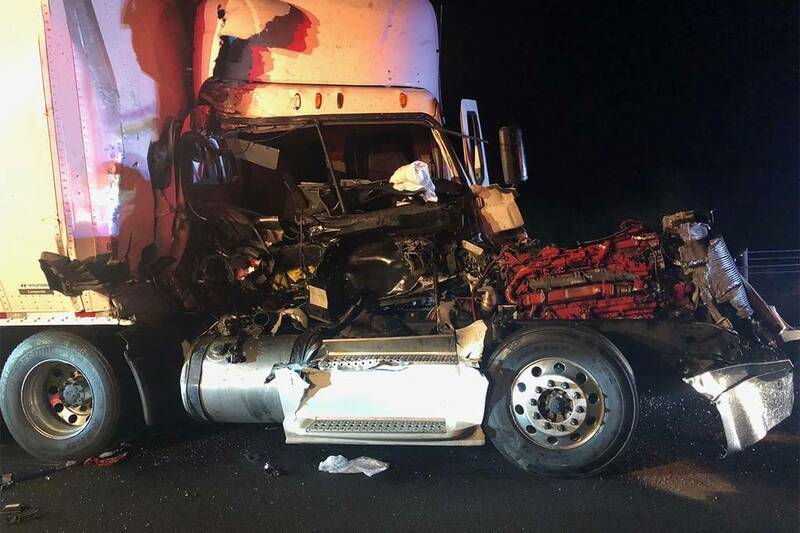 Nevada Highway Patrol is investigating a four-vehicle crash Thursday morning on Interstate 11. 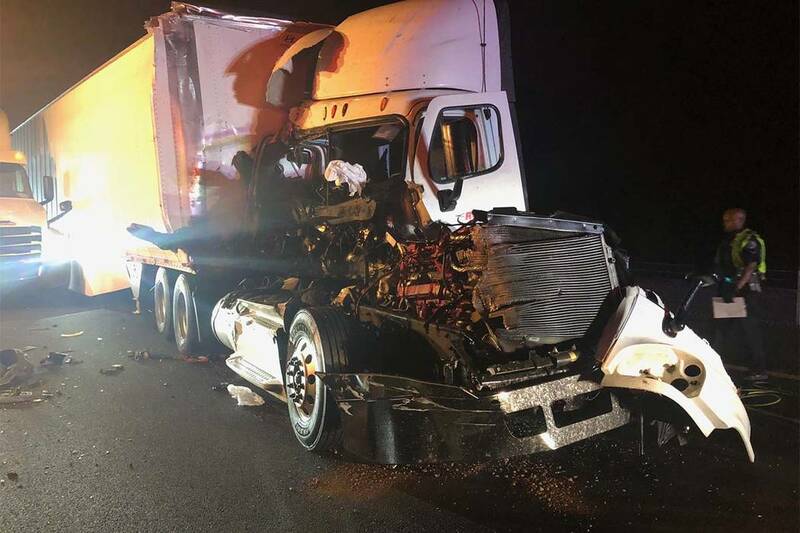 The crash was reported just before 2 a.m. on northbound I-11 near mile marker 9, according to Highway Patrol spokesman Jason Buratczuk. Two of the four vehicles involved are semitrailers, and the highway was closed for several hours while crews remove the damaged trucks from the scene. No one was killed in the crash, but three people were transported to St. Rose Dominican Hospital, Siena campus in stable condition, Highway Patrol spokesman Travis Smaka said. Smaka said a semitrailer was attempting to stop as it approached traffic, caused by officials investigating an earlier crash. The semitrailer then hit another semitrailer, which crashed into two other cars. A little more than a week ago, two people were killed around the same mile marker 9 spot. In an Aug. 14 crash, two others died when the driver of a sedan tried t0 make a U-turn. The highway has been open since early August.